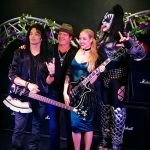 Those are the words uttered by Adam Sandler’s character in the movie, The Wedding Singer. 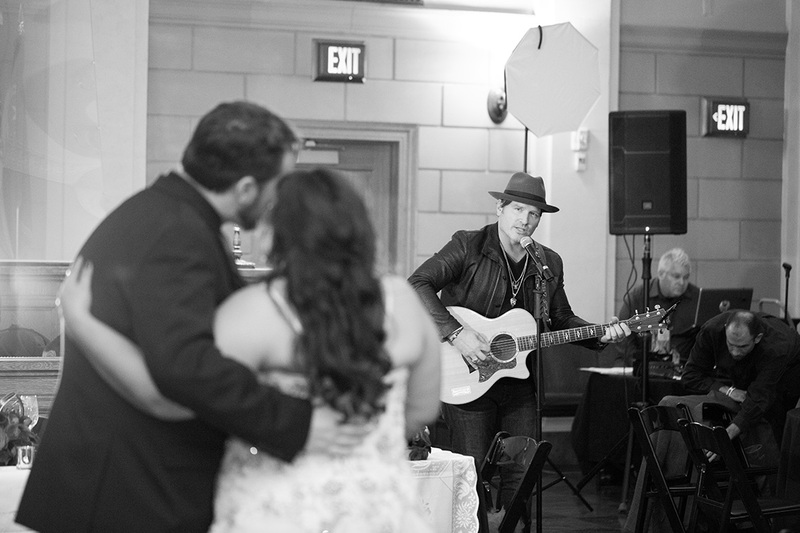 The words every bride and groom want to hear after tying the knot (see video clip below). 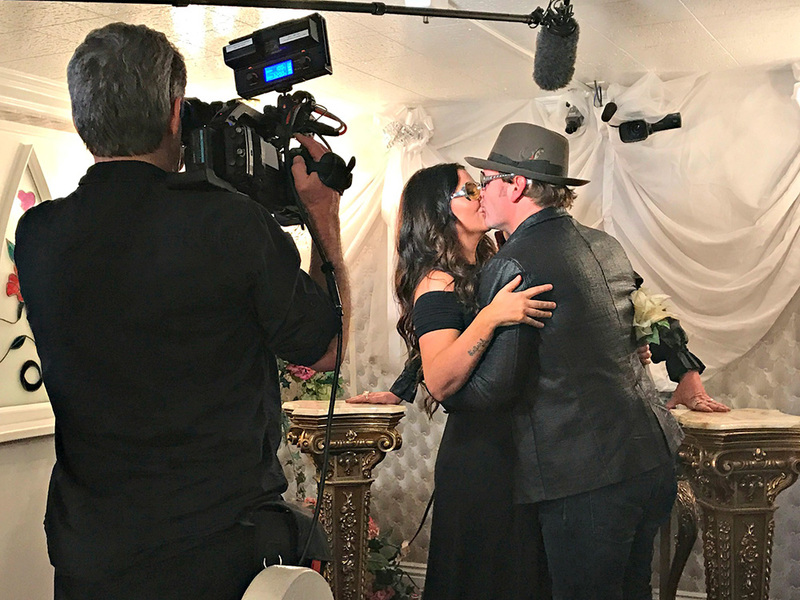 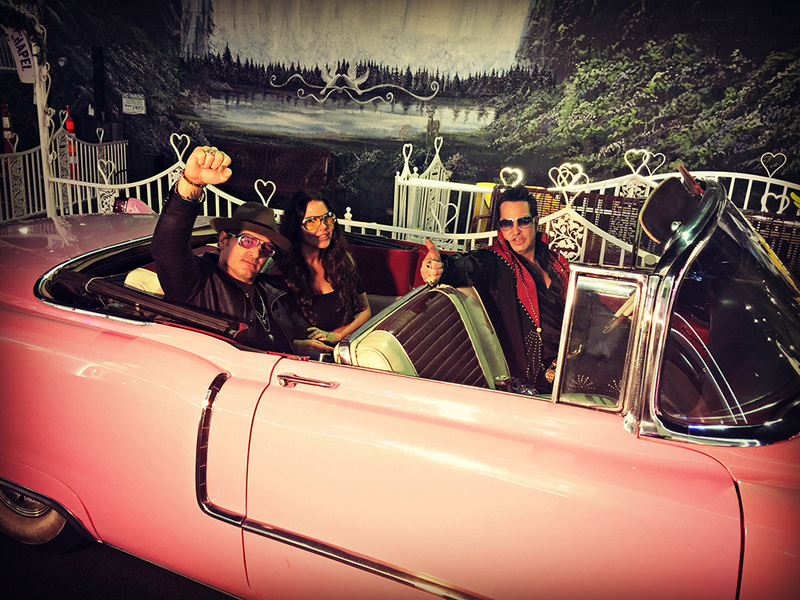 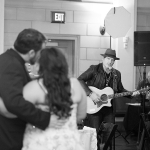 The words may be different, but the idea is the same when Jerrod Niemann became a personal wedding singer, surprising newlyweds in six back-to-back weddings throughout Las Vegas. 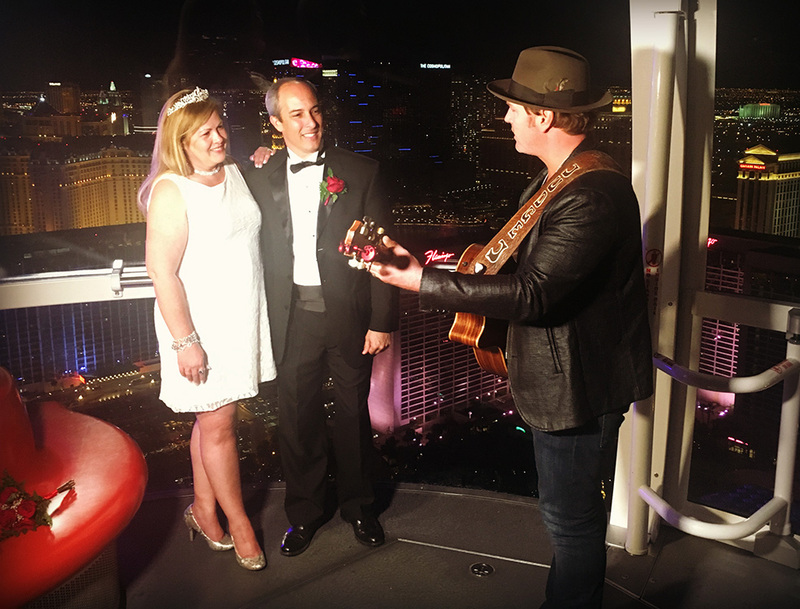 Jerrod made his way through the High Roller Observation Wheel and the Mob Museum to Denny’s and the Chapel of Flowers, singing for the newlywed couples. 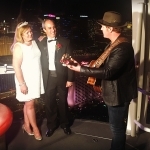 Overtaken with emotion from the evening—Jerrod, with help of the “official Elvis of Las Vegas,” Jesse Garon, renewed his own vows with his wife of two years, Morgan, at A Little White Wedding Chapel. 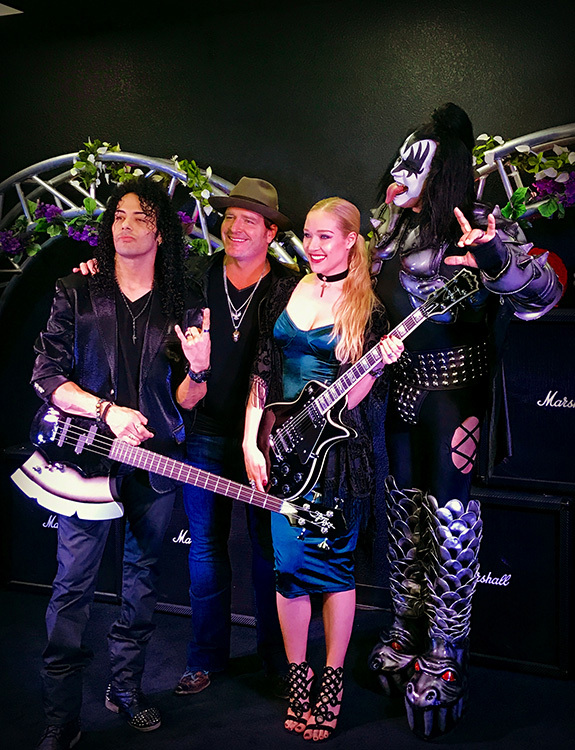 Check out a clip from The Wedding Singer movie.